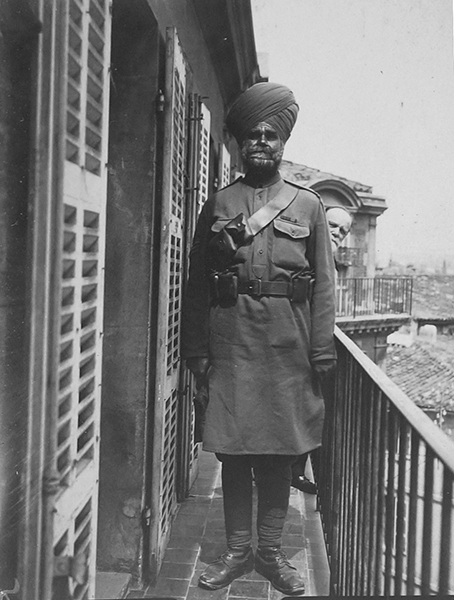 The Indian army was the pride of England, perhaps it has been its salvation. 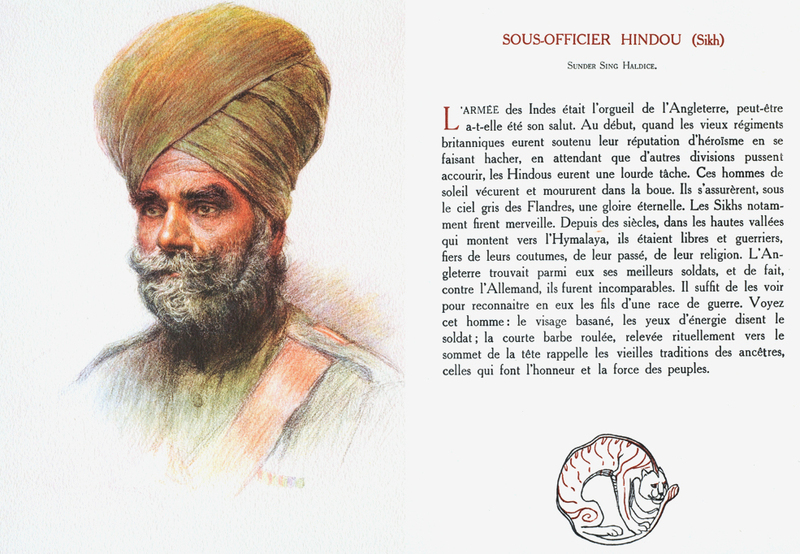 At the start when the old British regiments were upholding their reputation by being ground down while waiting for other divisions pushing hastily towards them, the Hindus had a heavy task. These men of sun lived and died in the mud. They secured for themselves under the grey skies of Flanders, eternal glory. The Sikhs were particularly wonderful. For centuries, in the high valleys that climb towards the Himalayas, they were free and warriors, proud of their customs, of their heritage, of their religion. England found amongst them its best soldiers, and in fact, against Germany, they were incomparable. It is sufficient to see them to recognise in them the sons of a warrior race. Look at this man; weather beaten face, the energy in his eyes which tells us he is a soldier; the short rolled beard lifted ritually to the top of the head, remembering ancestral traditions, which give honour and strength to nations. The artist made a comment in his Liber Veritatis journal about this subject. 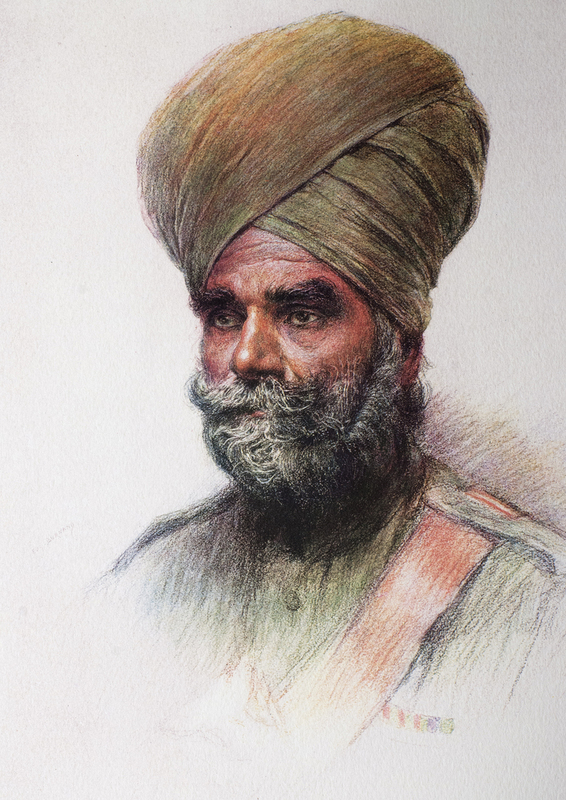 He refused to take any money for sitting but insisted that the artist gave it to his youngest son Tony whose photograph as an Aide-de-camp he had spotted. There is also a photograph of Sunder Singh Haldice with the artist behind in a humorous pose.